There are no strangers here, only friends we haven’t met yet! 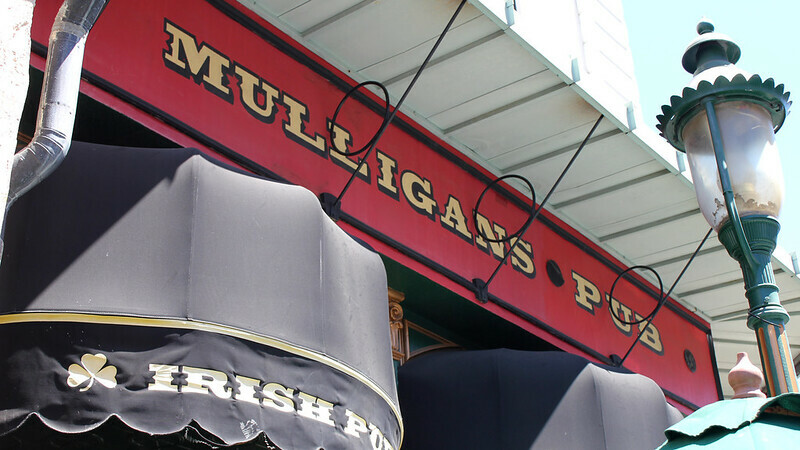 Pull up a stool and grab a drink at this Irish inspired pub because Mulligan’s Pub and Spirits is the only full service bar at Universal Studios Hollywood. 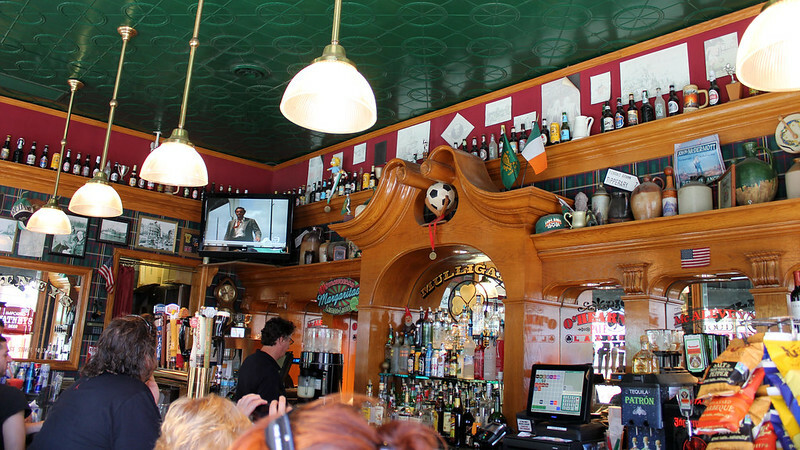 Mulligan’s Irish Pub is located on the corner of Baker Street and Minion Way. It’s right across from Despicable Me: Minion Mayhem. Vodka, Rum, Tequila, Gin, Blue Curacao, Sweet & Sour, Soda. Whiskey, Melon Liqueur, Bitters, Sweet & Sour. Whiskey, Sour Apple Pucker Schnapps, Cranberry Juice. Gin, Dry Vermouth, Sweet Vermouth. Vodka, Rum, Tequila, Gin, Blue Curacao, Melon Liqueur, Raspberry Liqueur, Sweet & Sour, Soda. Light Rum, Dark Rum, Pineapple Juice, Orange Juice, Grenadine. Samuel Adams, Blue Moon, Golden Road, Angry Orchard, Goose Island, Stella Artois, Long Hammer, Harp, Guinness. 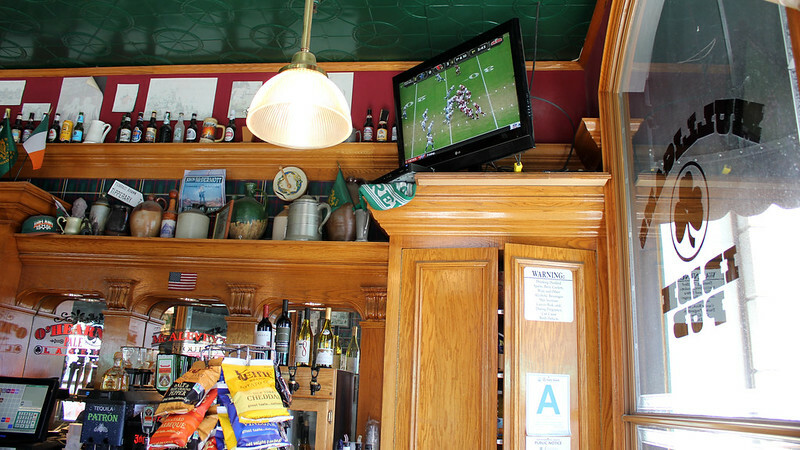 Being a full bar, Mulligan’s can put together just about any mixed drink you would like! The bartenders know what they are doing and they have a vast selection of liquor to supply you with the drink you want. 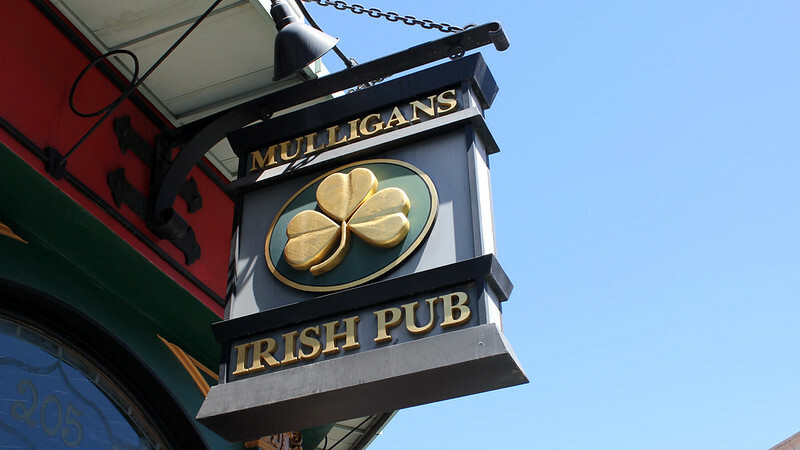 Usually Mulligan’s is only open on busy days. Weekends, holidays, and the summer season are the only times you will be able to wet your whistle at this watering hole. If you end up coming on a slow day and you want to top one off, head to Moe’s Tavern or Duff Brewery for a slightly smaller selection. If you need some munchies to go with your drinks, a few snacks are available. Chips, beer nuts, and the occasional beef jerky are there to tide your hunger. Always remember to see what special libations the bartenders are cooking up. The specials board is changing constantly and can even have special themed drinks for the holidays.